Russia's energy minister Alexander Novak says, Russia continues to implement its oil deal with Iran, regardless of US sanctions. Iran Press/Europe: Russia says it remains determined to continue cooperating with Iran even if new US sanctions are slapped against the country, according to Vestnik. 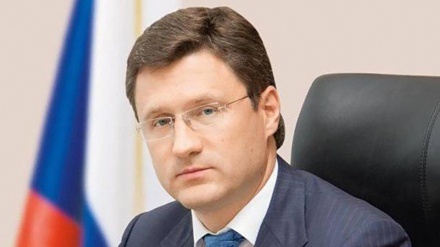 "If new sanctions are imposed, we will continue our cooperation," Russian media quoted Energy Minister Alexander Novak as saying in an interview with Bloomberg on Wednesday in Moscow. "We are interested in continuing our cooperation with Iran, which is our long-term economic partner. Certainly, we need to further find the forms of cooperation to fulfill joint projects," he added. 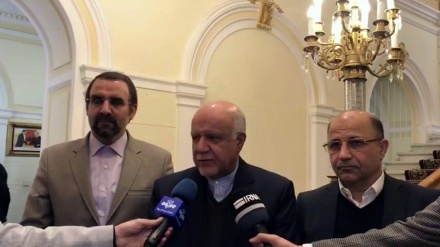 We constantly maintain contact with Iranian Minister of Petroleum Bijan Namdar Zangeneh over issues of mutual concern Novak said on the sidelines of the Russian Energy Week forum . Russia says it will intensify work with Iran, Europe and China in coming days to counter unilateral US sanctions. President Vladimir Putin has said Russia is prepared to continue its oil investment in Iran at the level of $50 billion, despite the fact that US plans to reimpose sanctions on Iran's oil and gas sector on November 4. The arrangement dates back to 2014 under which Russia would initially buy 100,000 barrels a day of Iranian oil in exchange for Russian equipment and goods. In May, US President Donald Trump pulled America out of the JCPOA and vowed to re-impose sanctions against Iran. The first wave of sanctions was reimposed on August 6, including a ban on Iran’s access to the US dollar as well as prohibitions against the country’s trade in gold and other precious metals among other restrictions. The second wave of sanctions that would hit in November is meant to target Iran’s oil exports, as well as Iran's central bank (CBI).